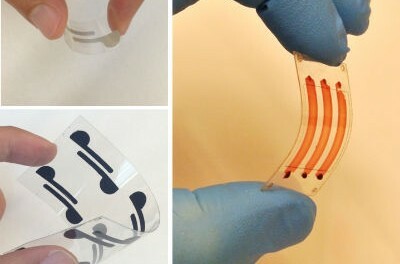 Thin, lightweight and flexible materials developed by researchers at Florida Atlantic University, Stanford University and Harvard University, integrate cellulose paper and flexible polyester films as new diagnostic tools to detect bio-agents in whole blood, serum and peritoneal fluid. The thin, lightweight and flexible materials developed by these researchers can be fabricated and operated without the need for expensive infrastructure and skilled personnel, potentially solving real-world healthcare problems for both developed and developing countries. Using this technology, they also have developed a phone app that could detect bacteria and disease in the blood using images from a cellphone that could easily be analyzed from anywhere in the world. Waseem Asghar, Ph.D., assistant professor of electrical engineering in the College of Engineering and Computer Science at FAU, co-first author on the study, along with Hadi Shafiee, Ph.D., instructor in medicine at the Division of Biomedical Engineering at Brigham and Women’s Hospital, Harvard Medical School; Fatih Inci, Ph.D.; and Utkan Demirci, Ph.D., Stanford School of Medicine, senior authors on the study, have published their findings in Nature Scientific Reports in an article titled “Paper and Flexible Substrates as Materials for Biosensing Platforms to Detect Multiple Biotargets.” Other team members on the study include Mehmet Yuksekkaya, Ph.D.; Muntasir Jahangir; Michael H. Zhang; Naside Gozde Durmus, Ph.D.; Umut Atakan Gurkan, Ph.D., and Daniel R. Kuritzkes, M.D. Researchers have employed three different paper and flexible material-based platforms incorporated with electrical and optical sensing modalities. Using this same technology, they have developed a phone app that can use a drop of blood to detect bacteria and disease in the blood using images from a cell phone, which could easily be analyzed from anywhere in the world.